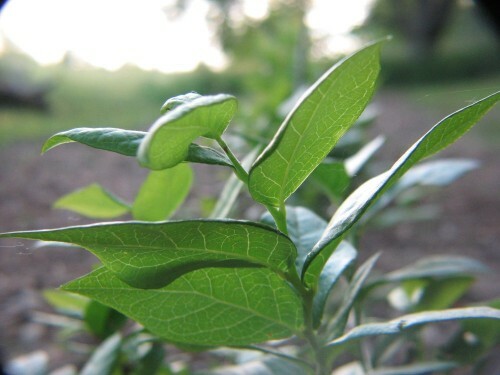 When you’re trying to grow a bunch of plants in a field where a water source is lacking, things can be a bit tough. Hauling water on-site is a very arduous process, even with a tractor/trailer full of buckets. 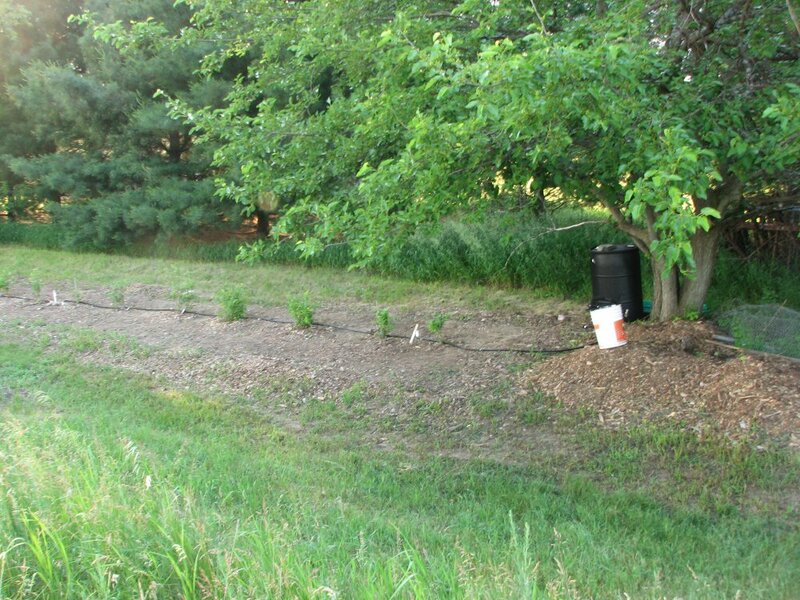 After hauling 5-gallon buckets to water blueberry bushes for months, we began to work on a better reservoir irrigation system that was cheap and easy to automate with expandable capacity. To store water, we decided to use a 55-gallon drum. The drum provides enough water for just over a week of watering every other day. We plan on adding another barrel with a siphon hose connecting it to the main barrel for additional capacity. After deciding that a gravity-fed system would be inadequate, we purchased a very inexpensive 1250 GPH bilge pump. 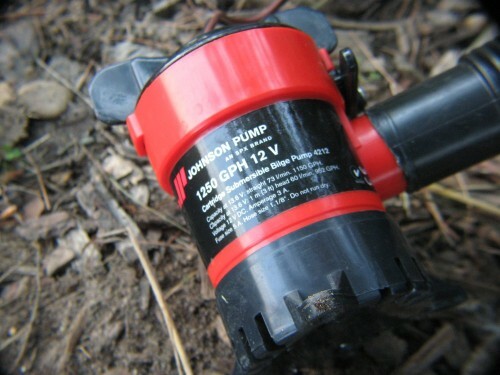 As cheap as it is, this pump provides enough pressure to water an entire row of blueberry bushes. If you are planning on a more extensive system, you likely need a more powerful pump (more about this later). 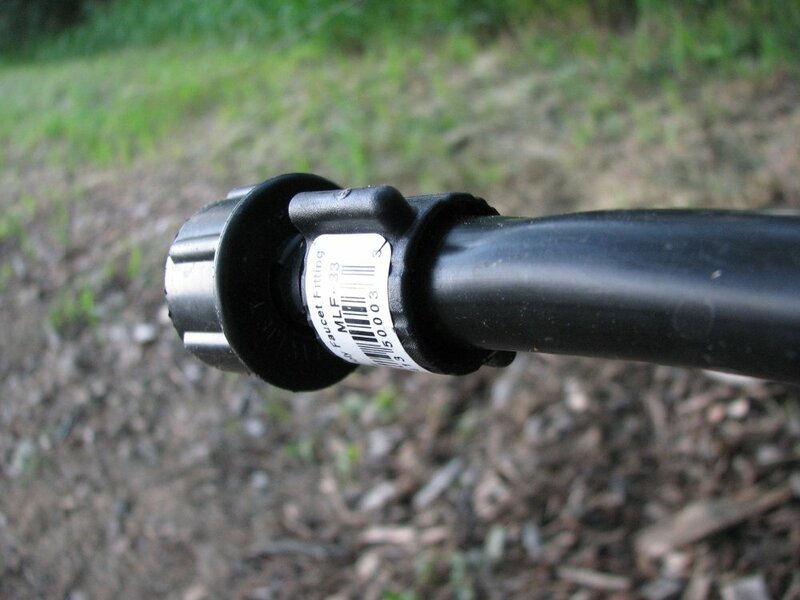 We added garden-hose threaded adapters to both the hose of our bilge pump and the intake of our watering line. 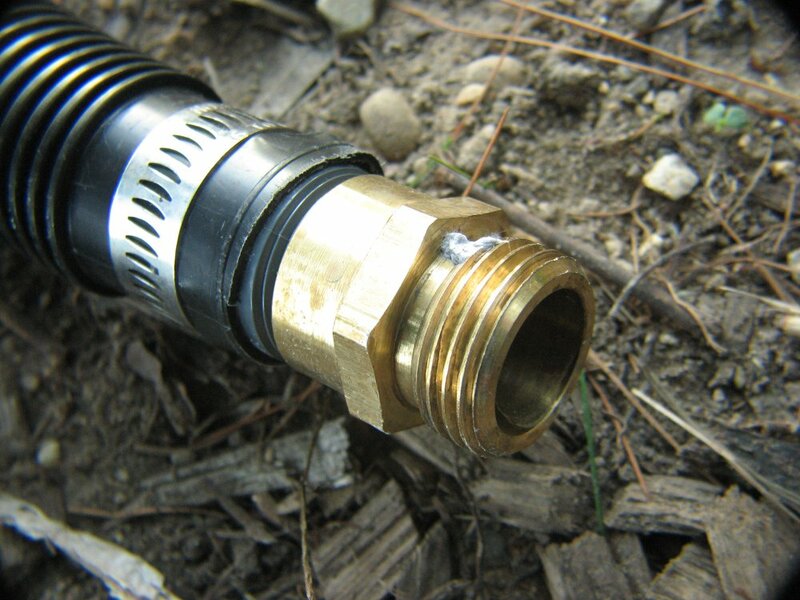 Having a garden hose adapter for the bilge pump line allows us to use garden hose and sprayer nozzles to water other plants, if needed. Note that an in-line anti-siphon valve is necessary to prevent water from constantly flowing out–we eventually added one after these photos were taken. We used standard black irrigation tubing and spray nozzles for our watering lines. This hose is incredibly cheap and the spray nozzles are about $.50 apiece. These nozzles are adjustable, allowing them to work with the very low water pressure that the bilge pump provides. 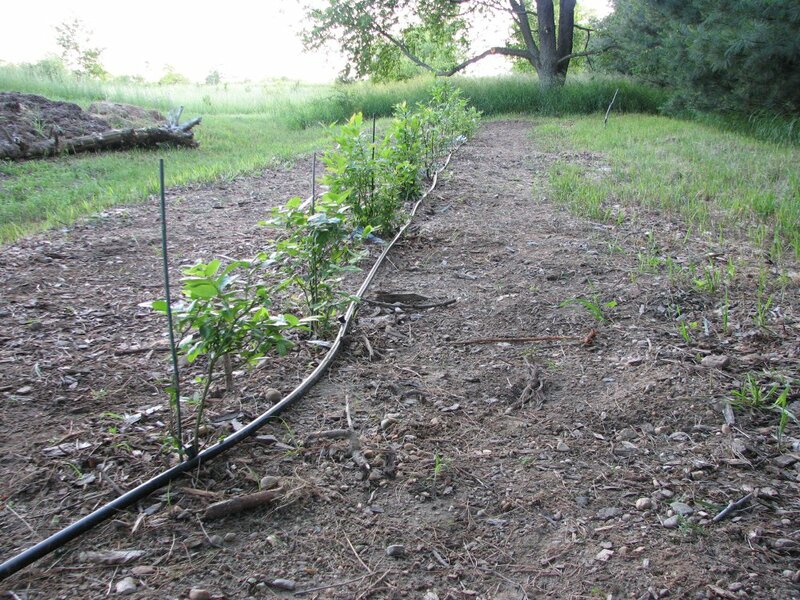 Our watering hoses are laid on the ground, however lines can be suspended over plants on stakes if necessary (this help keeps dirt and other particles out of the nozzles). We terminated the end of our watering line with a garden hose connector as well, mating nicely with the connector on the bilge pump hose. We laid our tubing along the ground without stakes initially, however we ended up staking down the hose between every nozzle to keep it from moving around. The setup itself is not incredibly unsightly and does a great job of watering plants in locations that don’t have a source of water close by. 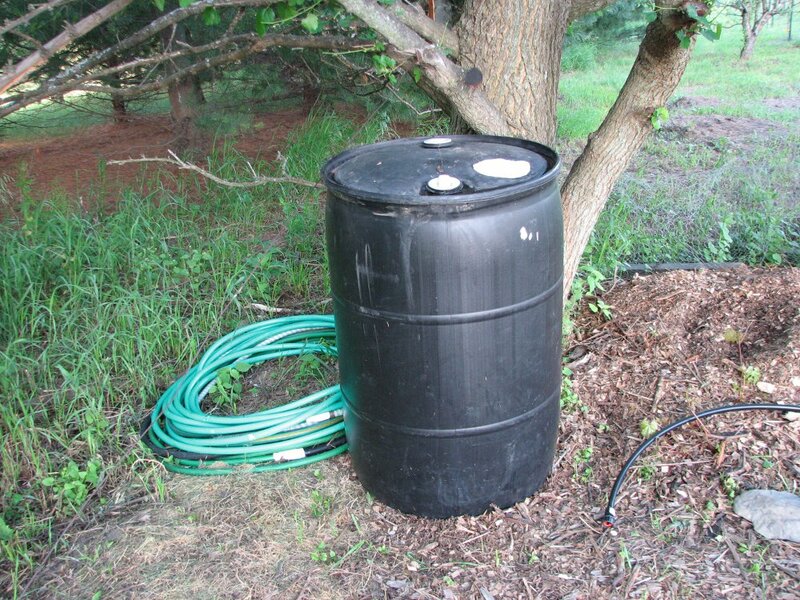 If the barrel is topped up every so often, watering is quick and easy. In the near future (likely next season), I plan on adding automation to the system with a relay, microcontroller, and RTC chip. 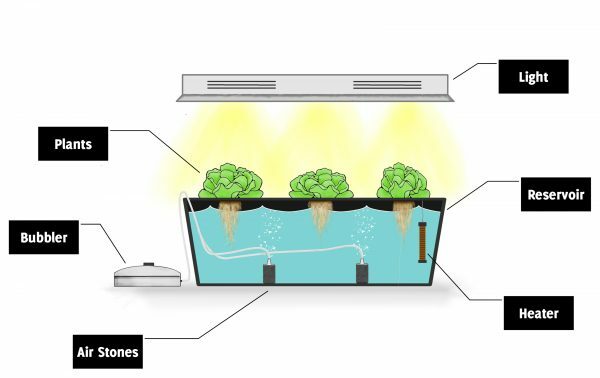 I am developing this system while at school for my small-scale indoor automated watering solution (documentation to come soon). 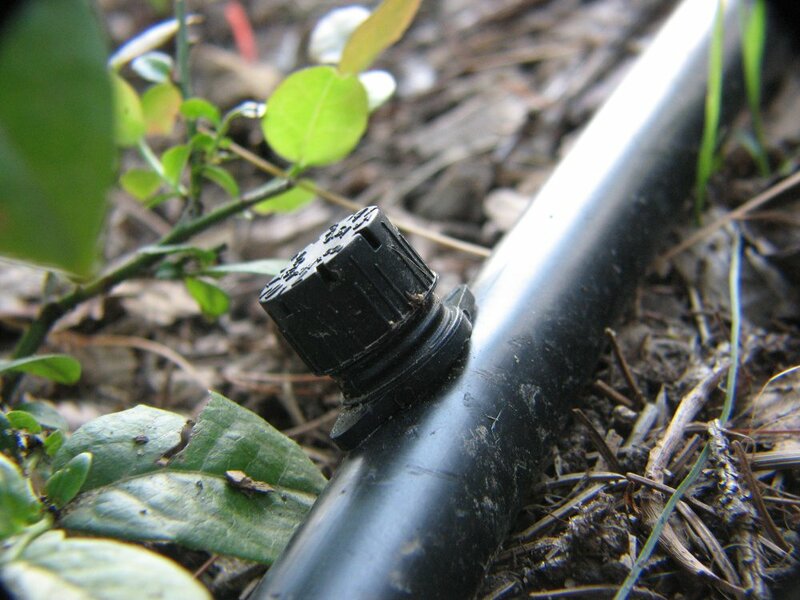 In addition, we have purchased an RV pressure-regulated water pump with much greater capacity, allowing us to water more plants and some of our fruit trees next season. If you need greater capacity for your watering system, you can buy one of these pumps for about $50 on eBay. If you need greater water capacity, you can add additional 55-gallon barrels with siphon hoses between them. 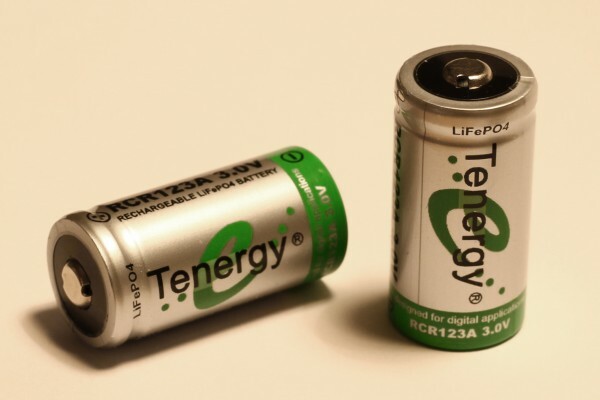 This is an easy way to increase capacity without making any changes to your existing system. what kind of spray nozzles did you use and how do they fit inside the hose?